A Response To Nicholas Kristof; We are still at war, let’s fight together. In a recent editorial for the N.Y. Times Nicholas Kristof plays upon his fiddle a familiar tune; building schools is better for peace than firing missiles. In the abstract this theme is undoubtedly true. Collectively we know that education is the key to a better, safer world. It is not a question of whether building schools is better for peace then firing missiles, the question is actually whether building schools is better for peace in Afghanistan. Kristof cites a recent report from the Congressional Research Service that states that the war in Afghanistan will cost more than any other war in our nation’s history aside from WWII. He also cites the recently leaked military documents, which incidentally and sadly may cost both American and Afghan lives, for support that the military strategy is a “mess.” Additionally, according to Kristof, for the cost of one soldier “we could start to build about 20 schools there.” And, interestingly, Kristof states that education has been far better at neutralizing extremism than military power. Mr. Kristof is not wrong for believing that education is critical and must be an integral part of our strategy for success in Afghanistan. The problem with his point of view is that he does not accurately depict the brutal reality facing both the Afghan population and the U.S. military. Kristof should consider a more narrow focus on those actual realities including the fact that many schools have no doubt survived the Taliban due to military provided security. Surely Kristof has met women like Aisha, an Afghan woman who had her nose and ears cut off by the Taliban? And for what egregious offense did Aisha receive this punishment? Because she attempted to escape the abuse of family members. Will these members of the Taliban enroll in school? And will this happen before or after they read their autographed copies of Three Cups of Tea? How long will the education plan take to affect a burqa wearing suicide bomber such as the one on June 11, 2010 who killed two civilians and wounded another 16? Perhaps the worst part of Kristof’s view of Afghanistan is his rather uninformed depiction of America’s fighting men and women. Many members of the media with experience embedded with NATO forces would tell you that today’s soldier is a true “renaissance man,” or woman. The primary skill set of most soldiers is focused on warfighting, but our nation’s current mission has required much more. Soldiers are taking out the enemy while at the same time providing humanitarian relief, meeting with town and tribal councils, and directing civil reconstruction projects. It is up to the Afghanistan people to use this blanket of security and stability to form political gains and reconciliation. The military cannot do this for them, but neither can simply building schools. Kristof actually gives no evidence in support of his claims. In what situation analogous to Afghanistan, is it true that education has neutralized extremism better than military power? Our nation, despite the economy, is generally business as usual and this makes it easy for us to forget that we are at war. We are at war with two enemies; one who killed thousands of Americans, lest we forget, and the other who gave those murderers safe haven. Because the average American civilian has gone back to business as usual, does not mean the enemy has. Even a cursory glance will leave you empty handed in finding a comparable situation where education has been successful as a unilateral strategy while leaving military assistance on the shelf. We need only look to Umar Abdulmutallab, the Nigerian who attempted to blow up a U.S. passenger plane on Christmas Day 2009. The 23 year old came from a privileged background and studied at a boarding school prior to his enrollment at University College London. What aboutKhalid Sheik Mohammed whose time at studying engineering in North Carolina “almost certainly helped propel him on his path to become a terrorist” according to the CIA. Or the fact that we know that most of the 9/11 hijackers came from middle class and educated backgrounds. It seems that it is not a lack of education that is our problem. When the evil of fascism and racist extremism gripped our world during World War II, should the Allies have redirected our D-Day budget to the building of schools on the cost of France? Was there a shortage of schools throughout Europe that allowed ignorance to rule the day? Education is a wonderful and helpful tool to enriching lives and changing attitudes, but when a certain evil of this world rises up we must meet it with our intelligence, our material, and when appropriate our military. Mr. Kristof says that his “hunch” is that CARE is doing more to bring peace to Afghanistan than Mr. Obama’s surge of troops. But what are the statistics on stability in the areas where these schools are located? Are attacks by the Taliban and Al Qaeda down in those areas? If there was a decline in violence was it in the absence of security? This blanket transformation of areas within Afghanistan must have surely led to a wholesale emigration of Afghans to these areas, and how are these schools coping with the surge? I must wonder whether Kristof is aware of the Provincial Reconstruction Teams (PRTs) working to improve the lives of the Afghan population every day. There are an almost 30 PRTs established by 18 national governments operating in Afghanistan. PRTs are commanded by a military officer, usually a Lieutenant Colonel or equivalent and typically include representatives from the Departments of State, Agriculture, Justice, and Defense, as well as the United States Agency for International Development. The PRT in the Zabul region of Afghanistan completed more than 65 projects over the course of a ten month period from 2009-2010. These projects totaled more than $40 million and addressed medical education, road reconstruction, and quality of life issues. In the Helmand province the PRT reopened 40 schools since December 2008 and actually built four of the schools. Additionally, as of January 2010 pupil enrollment in the Helmand province increased 34% among females and figures showed a total enrollment of 83,995 students. All totaled there are 103 schools open in Helmand, and in 2007 there were only 47. The gains and accomplishments by PRTs are the result of years of work to reach out to the Afghan population. As far back as 2004 military civil affairs soldiers from PRT Tarin Kowt worked as the “connection between U.S. Forces in Afghanistan and the people.” This early PRT worked to provide supplies and funds for agriculture, education, and construction. The sacrifice and work of the American soldier to provide solid and sustainable improvement to the education and economic situation of the Afghan people must not be ignored. Moreover, I have a hunch that these soldiers are doing quite good at bringing peace to Afghanistan. My humble advice to Mr. Kristof would be to spend a week with our nation’s soldiers. Speak with their commanders, speak with the grunts. Focus less on the words of the elite in Washington and whilst you roll up your sleeves looking at the schools built by Greg Mortenson, roll up your sleeves and look at the work done by the U.S. military. When you finish please write an op-ed describing what you saw, and this time around I would bet you will have a more balanced and realistic depiction of the military’s role in Afghanistan. A needed depiction of our countrymen’s struggle to provide assistance. The women and men of the military are not aliens from another galaxy or robots constructed by the government. They are people just like you, from places like Yamhill, Oregon, and they are in Afghanistan doing the best they can, in a bad situation, because their President asked them to. When it comes to the counterinsurgency (COIN) directive of protecting the populace by separating the insurgents from the people, there is no better technology to achieve this end state than biometrics. Coalition forces can use biometrics to separate friendly locals in their Areas of Responsibility (AORs) from seasonal insurgents and to conclusively identify known Taliban. Unfortunately, although this technology is highly conducive to achieving COIN directives, and is one of the most effective methods of removing IED makers from the battle space, it remains one of the most underutilized systems in Afghanistan. 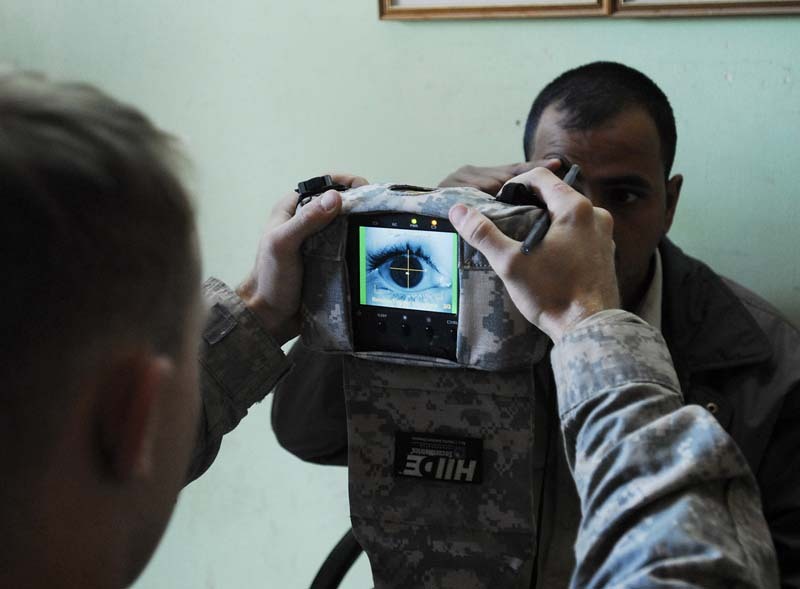 Although there are several biometric systems in theater, most Coalition forces use the Handheld Interagency Identity Detection Equipment (HIIDE) device and the Biometric Automated Toolset (BAT) to collect an enrollee’s iris, fingerprints and photograph. The HIIDE is a battery-operated handheld device that is utilized in a tactical environment, whereas the BAT requires fixed power and is likely to be found at an Entry Control Point (ECP) or Port of Entry (POE). These systems are issued and maintained throughout theater by Task Force Biometrics (TFB), a forward element which is overseen by Program Manager Biometrics (PMB) located in the United States. 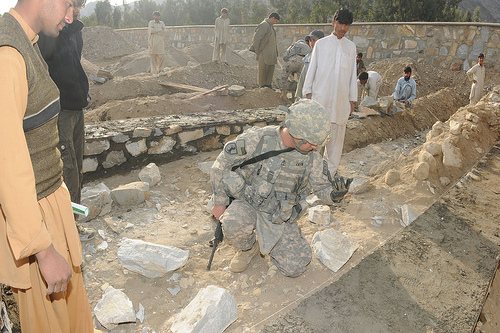 After an individual’s biometrics are collected, they are sent to the Advanced Biometric Identification System (ABIS) database in the United States where they are analyzed against a database of latent fingerprints that have been taken from IEDs, weapons, documents or other items that originated from suspected Taliban sources. If an enrollment matches a latent print, the identity of the individual will be linked to that match and the individual will be added to the Watch List. The Watch List is updated on a weekly basis and has five different alert levels, with Level One being Joint Priority Effects List (JPEL) vetted targets, such as known IED makers, who can be detained immediately. The other Watch List levels are used to identify personnel who have been banned from ISAF facilities or are otherwise of interest. Once an individual is on the Watch List, Coalition forces can track his movement through the battle space by using tracking reports. While the design of the data architecture makes biometrics very conducive to CIED and other intelligence-related operations, its untapped potential in Afghanistan lies in its role as a non-kinetic weapons system that can potentially restrict insurgent freedom of movement and deprive them of safe haven and hiding in plain site among the peaceful. In addition to storing the Watch List, both BATs and HIIDEs are capable of storing a local database consisting solely of personnel enrolled within a unit’s AOR. The BAT is excellent for keeping track of local nationals who come on and off a Forward Operating Base (FOB) or who belong to partnered units, but the HIIDE can allow Soldiers in the field to determine with a ten second iris scan whether or not a local national belongs in the area. Culturally speaking, Afghans love having their pictures taken and having a picture of themselves – the card, not an officially recognized identification card, still provides a sense of identity that the average Afghan citizen does not possess. BATs and HIIDEs can be used to print identification cards for local nationals that can be tailored by units for specific villages or districts within their AORs. These identification cards have proven to be very popular among the Afghans throughout the theater. When properly executed, a biometric-oriented mission can enable the battle space owner to conclusively identify the peaceful local population, empower the local leadership and develop good will between local nationals and coalition forces. During a shura, a commander can explain how the biometric enrollment procedures will work and request permission to conduct an enrollment session where the village elders are responsible for identifying the people belonging to their village and having them get enrolled. When the cards are printed, they will be returned to the village elders who will then issue them to their people. By doing this, the authority of the village elders is emphasized in each step of the process and the commander now has a way to identify the peaceful population that belongs in the village. In the future, if a Soldier comes across someone claiming to be a local villager who does not have the identification card and is not registering in the local database on the HIIDE, the Soldier immediately knows to bring the individual to the elders for identification. The ability to conduct quick and conclusive identity checks is critical, especially when a unit is new to an AOR and still becoming familiar with its surroundings and its locals. This technique is called Civil Census Engagement and has been successfully used in Afghanistan to help stabilize villages and shut off other bases of support for insurgents. Restricting freedom of movement and inhibiting the insurgents’ ability to blend in with the local populace will be critical in achieving victory in Afghanistan, and biometrics permits Coalition forces to do just that without endangering or aggravating the peaceful population. In the next article of this series, I will examine additional uses of biometrics to promote COIN objectives as well as some of the reasons that it has not been utilized to its full capacity in theater. 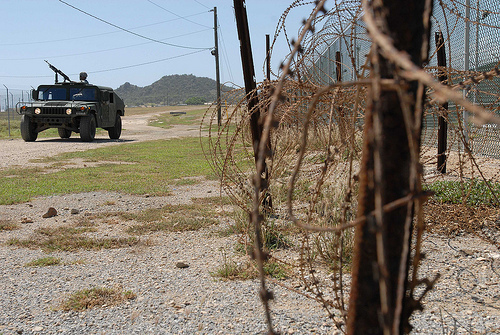 Should We Scrutinize the Security Implications of Immigration Reform? The new Arizona immigration law has done nothing else, if not make a national statement. While its constitutionality is being debated, it has certainly brought a recently forgotten about campaign topic of 2008, back into the limelight. Behind the veil of a hotly debated domestic governance issue, there are actually national security implications at stake when it comes to immigration. In the last 15 years, all major terrorist attacks conducted in the US and Western Europe, with the exception of Oklahoma City, have been conducted by migrants. Migrants in this case being illegal immigrants or visitors. The hesitancy to revisit this hot topic, despite the weakened state of our nation, is concerning. The President actually only reengaged the issue previous to Arizona passing its current law, giving his support to the Charles Schumer (D-NY) – Lindsey Graham (R-SC) Immigration Reform Bill of 2010 only after a threat of an anti-Obama protest at the White House. Neither party is glad the debate is back. Democrats are split between those in favor of labor unions and those in favor of minority issues. Republicans are split between the guest workers provision and blanket deportation. If there were any a time to put differences aside, make concessions and pass immigration reform, that time would be now. With unemployment at all-time highs, it would be tough to oppose the bill by way of the labor shortage argument. Last time I checked over 9% of the eligible working class in our country are still looking for jobs. One can only hope that the attention that Arizona is bringing to this issue will expedite the process in Washington. There are a few issues that have shaped the immigration reform debate in recent years. The first is the question regarding the over 12 million illegal immigrants that reside in this country. A reasonable person would understand that attempting to deport each and every illegal alien would be an exercise in futility. The financial cost and human capital necessary are astronomical. 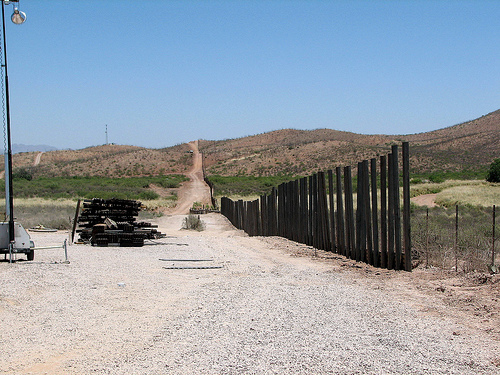 A second issue framing the debate is the subsequent enforcement of this reform, in the way of increased border patrol and sanctions against employers who knowingly hire illegal aliens. Both of these enforcement components were passed through the Immigration Reform and Control Act of 1986. This act, signed into law by President Reagan, also granted amnesty to immigrants entering the US prior to 1982 and residing here continuously as well as providing a pathway to citizenship for others who have been here illegally post 1982. Congress is again debating both of these measures for the current reform. For practical and ethical reasons, the pathway towards legalization is essential in any bill, new or old. But why the inefficiencies? Why re-do work that has already been done, instead of enforcing measures already in place? The fact of the matter is, that we will not be able to realistically reduce the number of immigrants entering the US, legally or otherwise. The only solution is more government and more scrutiny. There will be some who will argue constitutionality and civil rights, such is the debate in Arizona, but if done with the proper oversight those complaints can be mitigated. There is no other way. Most Americans are unaware of the ways in which this issue of immigration affects them directly. What they don’t realize is that our immigration policies can, and will, affect the path of our country from a labor and economic perspective, and determine how safe our borders truly are. It’s no secret that thousands of immigrants enter the United States every year. What’s alarming is the disregard given to exactly who these people are, their location, or how they spend their time here in America. Is it naïve to assume each illegal immigrant or visitor has the United States and its citizens’ best interests in mind? Keeping in mind our nation was formed by immigrants, it is so important to remain the country that drew to it those people who have made the United States the power it is today, and thus not entirely close our borders. However, in this day and age, we need to make an outstanding effort to understand those people desirous of entering from another country. The global and asymmetric wars that are being currently fought make us much more vulnerable here at home than we would like to think. It is naïve to reason that a loosely patrolled border and more loosely enforced laws are not a threat to our security. While a lot of attention is focused on Yemen as the next major center for Islamic terrorism, a disturbing trend is continuing in Somalia. As the country continues to suffer from lack of a central government to provide for its people, militant Islam is gaining a progressively stronger foothold. 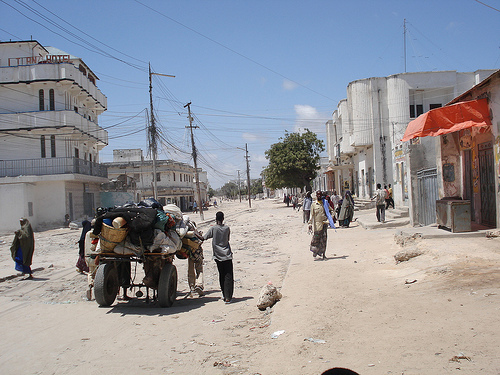 Two stories this week provide evidence that both Al Shabab and Hizbul Islam (the two major Islamist groups in Somalia) are starting to significantly affect the social landscape of the country, as well as easily recruit young people into their ranks. A New York Times Article reported that Hizbul Islam ordered radio stations in the capital of Mogadishu to stop playing music because it is “un-Islamic.” The terrorist group threatened radio stations with consequences if they did not comply with the order. The article goes on to point out that this is just one in a series of attacks aimed at the media in Somalia. Al Shabab has denounced some broadcasts at Western propaganda, and reports say that nine journalists were killed in Somalia in 2009. It was also reported that Al Shabab is recruiting young Somalis into the group by offering them regularly salaries and what amounts to “signing bonuses” of up to $400. The Somali youth are tempted by the money because their families are desperate need of it to buy food. The story tells about former recruits that joined up with Al Shabab not because of any ideology, but because the militant groups are one of the few ways that a person can provide for their family. Despite the benefit that they provide, reports from Somalia seem to suggest that Al Shabab and Hizbul Islam’s popularity is in decline. The argument could be made that these groups will simply go away eventually if the population does not embrace them. That may very well be true. Without the support of the Somali people it will be extremely difficult for the Islamists to gain control of the country; however, the fact remains that Somalia is a country with essentially no central government and that makes the country a prime target to become a major terrorist hub. Without a government to provide for the people of Somalia those people will do what they have to in order to survive, even if they have to turn to militant groups that they may dislike. The influence of militant groups in Somalia will remain high as long as they are the central source of obtaining money and other essentials. All Roads Lead to Pakistan, But Does the Terrorist Hunt End There? President Obama’s strategy towards terrorism is understandably Pakistan-centric. Any honest assessment of terrorist and nuclear threats to the United States finds an intersection in Pakistan. But the US may be at risk, once again, of agreeing to take on a problem that is neither bound in objective nor time. Ensuring that Pakistan has the capacity and desire to secure its nuclear arsenal and territorial integrity from militants, particularly terrorists, is certainly in the US’s best interest. But what does a secure Pakistan look like from the US perspective? How long will US forces be involved in Pakistan? Politically, how long can US forces be involved in Pakistan? And most importantly, is Pakistan really going to be the last frontier in the fight against terrorism? It’s not difficult to imagine a situation in August of 2011 where ISAF has largely subdued the al Qaeda and Taliban threat in Afghanistan. What is harder to imagine is a Pakistan whose security puts the US at ease. A war that started in Afghanistan may very well continue in Pakistan. But it may not end in Pakistan. Terrorist activity in Yemen poses a similar problem to the US. It is politically untenable for the US to engage in overt action to any significant degree, leaving only military aid and training to support the local government and military. Somalia, too, poses a similar problem. The lack of tangible government in Somalia means that the US could potentially conduct military operations – an enticing prospect that has been realized at least once in the last year. The relatively recent rise of terrorist safehavens in these areas means that if the US seeks to eradicate terrorism, it may very well do so without rest for the foreseeable future. 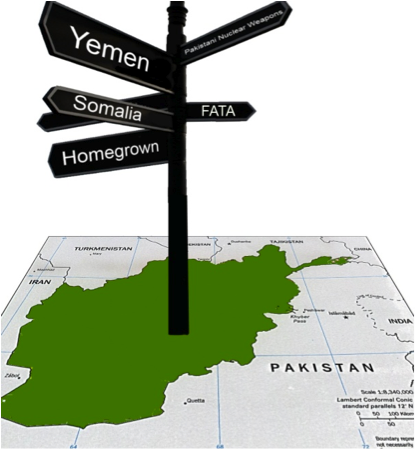 These regions do not pose the same nuclear threat that Pakistan does, but they may one day pose the same terrorist threat that Afghanistan did. At some point the question “what’s next?” has to give way to the question “where is the end?” What are the costs of playing an endless game of terrorist whack-a-mole? In the early 1970’s Britain’s Home Secretary said that the IRA may “not be defeated, not completely eliminated, but have their violence reduced to an acceptable level.” Most Americans would be most comfortable knowing that the terrorist threat as we know it today had been categorically eliminated. But we must also recognize that the costs and practicality of doing so may be prohibitive. The question, then, is to decide when we will be satisfied and then communicate that frustrating reality with a nation. Should We Remove the Civilian Justice System When Dealing With Terrorists? Senators McCain and Lieberman recently put forth a proposed bill entitled “The Enemy Belligerent Interrogation, Detention, and Prosecution Act of 2010,” that is aimed at setting standards for interrogation and detention of suspected terrorists. The bill is really an amalgamation of ideas that have been thrown around over the past several years about what happens to terrorist suspects have once they are apprehended, but it does contains some specific proposals that have been absent from past bills. While this is a new bill the solution is proposes at its most basic level is not: It seeks to bypass the civilian criminal justice system in terrorism cases in favor of a system administered by the military. Here is how the bill envisions handling terrorist suspects from apprehension up through prosecution. When a suspect is apprehended a determination is made as to whether the suspect will be treated as a suspected terrorist, or, as the bill refers to it, a “high-value detainee.” A suspect’s status rises to the level of “high-value detainee” based on factors including: threat to U.S. citizens or property domestically or internationally, intelligence value, affiliation with al Qaeda, or other situational factors. Once the “high-value detainee” status is determined the suspect is placed in military custody for interrogation purposes. With respect to interrogation the bill explicitly removes the suspect’s Miranda rights. This is also the first bill to explicitly mention, and give responsibility of interrogation to, an interagency unit known as a “high-value detainee interrogation group”, or HIG group for short. The HIG group itself is not new, some argued it should have been used in the case of the Christmas Day bomber, but this is the first bill to attempt to give it sole power over interrogation. The HIG group’s main responsibility under this bill is to gather as much intelligence from the suspect about attacks against the United States as possible. The HIG group’s other major responsibility is to make the initial determination about whether or not the suspect is an “unprivileged enemy belligerent.” The final determination of whether a suspect falls under this category is made by the Secretary of Defense and Attorney General subject to review by the President and relevant congressional committees. The final status determination is supposed to be made within the first 48 hours after the suspect is turned over to military custody. The “unprivileged enemy belligerent” status plays a vital role because it forms the basis for its most controversial proposals. The bill calls for those determined to be “unprivileged enemy belligerents” to be detained indefinitely and without criminal charge until hostilities cease (which may never cease). This applies to both U.S. citizens and non-citizens alike. Furthermore, the bill precludes the Department of Justice from spending any money on prosecuting someone who is determined to be an “unprivileged enemy belligerent.” This means that someone with belligerent status must be tried by a military court. The fatal defect in this bill is that it essentially removes the civilian justice system from dealing with terrorists. It could be argued that the bill is only aimed terrorists affiliated with Al Qaeda, but the bill could easily be read to encompass all terrorists. Because it attempts to shut out the civilian justice system completely it doesn’t offer a truly new idea in the debate over how to handle terrorism prosecutions, it simply brings us back to the binary choice between civilian justice or military justice. We shouldn’t have to choose between one or the other because circumstances could make either one appropriate. 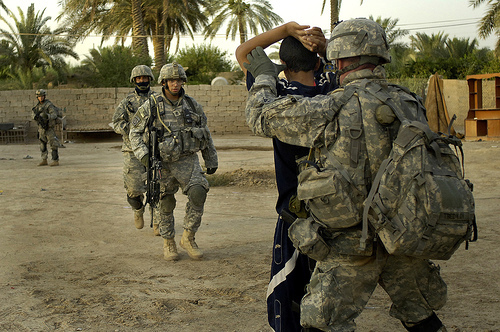 If a terrorist is apprehended on the battlefield in Afghanistan or Iraq it would probably be more appropriate for the military to deal with him. If one is arrested in Detroit after trying to blow up an airplane then there is no reason to involve the military. Even former officials from the Bush administration have weighed in saying that completely excluding the civilian justice system unnecessarily hamstrings potential terrorism prosecutions in a number of ways including: getting terrorists to cooperate, getting other countries to extradite terrorists to the U.S., and the potential for overturning terrorist convictions on appeal from military commissions. The civilian justice system has an established track record in dealing with high-profile terrorism trials, and removing it from our arsenal in the against terrorism is a mistake. In January, a government task force determined that almost 50 detainees at the prison at Guantanamo Bay will be held indefinitely without trial because they are too dangerous to release. In December, President Obama insinuated that the prison at Guantanamo Bay was nearing closure, and that all remaining detainees would either be tried, released, or transferred to the Thomson Correctional Facility in Illinois. This latest news is evidence that the issue of what to do with the detainees is still riddled with very serious and difficult questions. The Obama administration has the seemingly intractable problem of wanting to eliminate or legitimize the detainee situation, but at the same time being saddled with prisoners that are simultaneously un-prosecutable and too dangerous to release. Detention without trial is a concept that is bothersome to me, but I believe that it is possible to create a legitimate system by which we can hold terrorists for longer periods of time while we attempt to put together a case against them. Prolonged detention without trial is commonly referred to as “administrative detention” and it is not a novel idea. Countries like Ireland and Australia use an administrative detention system for immigration purposes. Israel, a country that has struggled with terrorism since its inception, has an administrative detention system aimed at combating terrorist threats. In the Israeli system a suspected terrorist is apprehended and a military judge evaluates intelligence to determine whether he can be held without trial. A six month detention period is initially authorized, but the detention can be renewed indefinitely based on the evidence against the detainee. The U.S. has no official administrative detention system for terrorists, but if we start holding terrorists without trial an official system with defined processes and controls should be created. Human and civil rights groups may disagree, but I think it is possible to fashion a process that promotes national security goals and takes into account the rights of those detained. The ultimate goal guiding any administrative detention system should be prosecution of those detained, and the cornerstone of the system would need to be judicial review. A judge should preside over a hearing in which the government presents all relevant intelligence information against each detainee, with the detainee being able to present evidence to rebut the government’s case. Legal counsel should be made available to assist the detainee in his defense. Israel’s seems to have a workable timeframe that allows for review of each detainees case every six months at which point the detention is renewed or release is granted; however, indefinite renewal of the detention should not be part of a U.S. system. Also, the burden on the government to justify further detention should increase every time it seeks renewal or maybe every other time it seeks renewal. Because the ultimate goal of the system should be prosecution of the detainee, the number of renewals should be capped so that if no viable prosecution can be put together within a certain time period the detainee is released.